The world as we know it is gone. Zombies are everywhere. 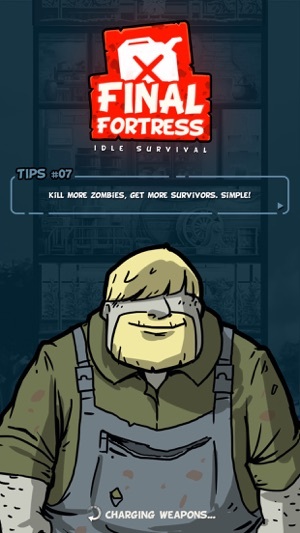 Your mission, build your fortress and collect the currency of the day – GAS. 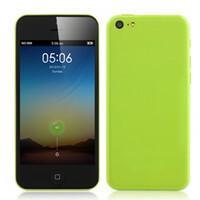 As you might have gathered from the name, the this is a “clicking”or tapping game. 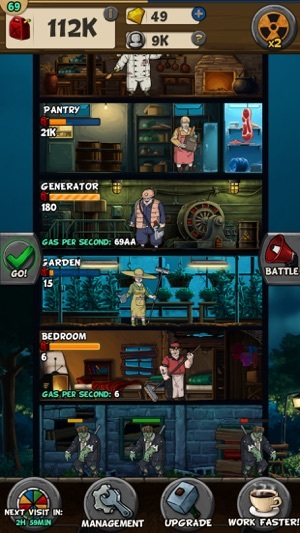 You will need to tap on each floor of your fortress to collect the gas. 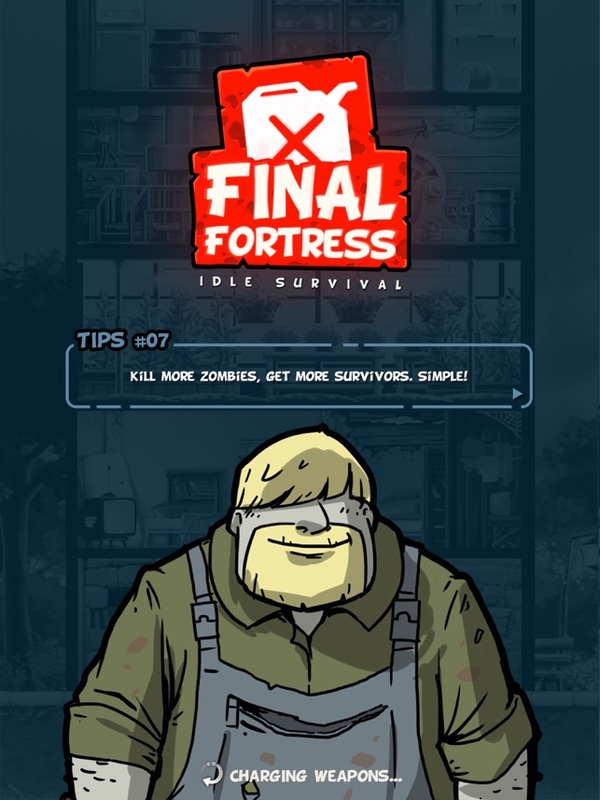 You will need to collect gas to help unlock the various floors on your fortress. 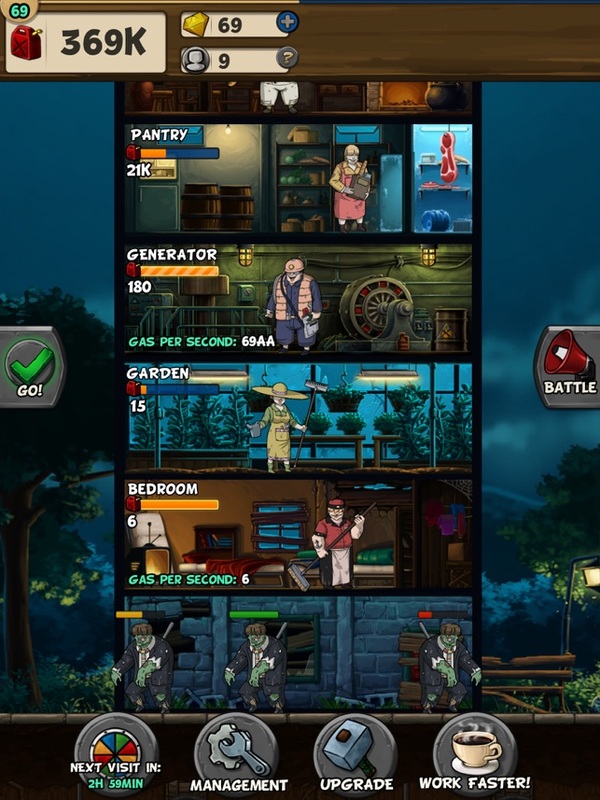 You can of course level up each floor with, you guessed it, gas. 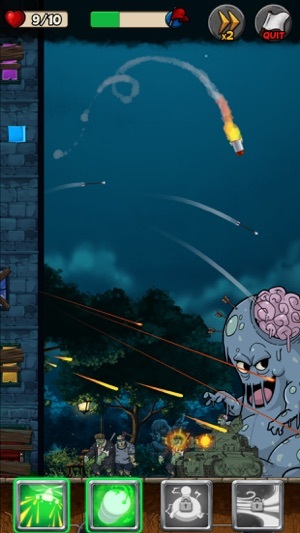 As you level up the floors, you will collect even more gas and can equip weapons. Each floor has a progress bar to let you know when the gas is ready to collect. The game plays at your pace. It will simply sit there and wait for you to play(click). Also the game does a great job guiding you into the game when you first begin. 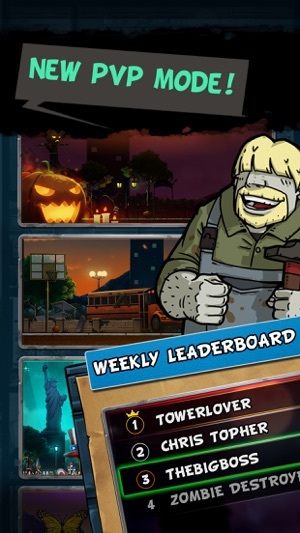 As you level up, you will earn gems which can be used to unlock various boosts in the game, such as Almighty finger, which is ups to speed up gas production. For each floor, you can hire a manager, which will collect the gas, even when you are not there. This is definitely the first thing you want to upgrade on each floor. Overall this is a fun, casual game that you and pick up and play whenever. So where do they zombies come in? 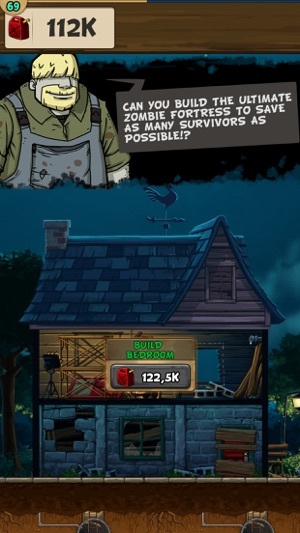 Well as you are clicking to collect gas, you can click on the wondering zombies when they pass and you will earn gas. But wait there is more. When you unlock the fourth floor, you unlock the use of weapons. 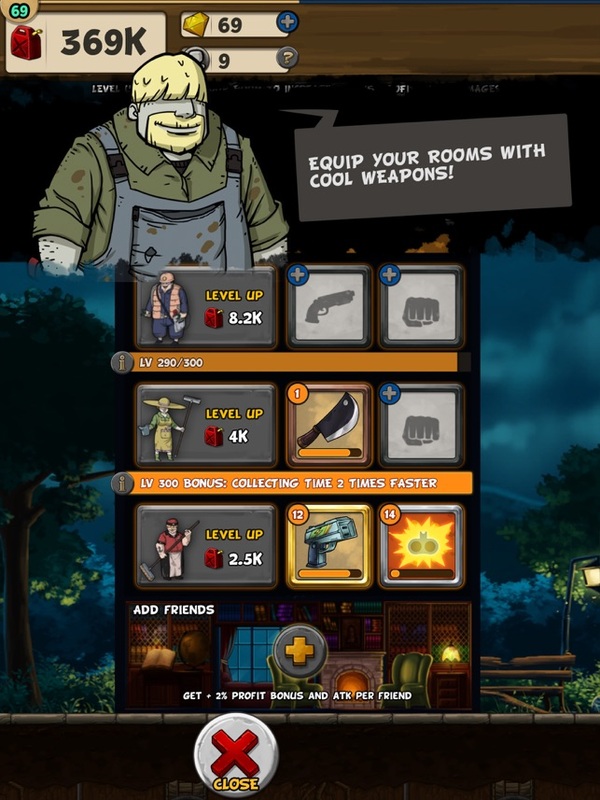 You can equip each floor with a weapon and an ability and as you progress in the game, you can upgrade them to make them stronger. When you are ready, you hit the battle button and you can play Fortress Defense or June Bug Hunt 1. 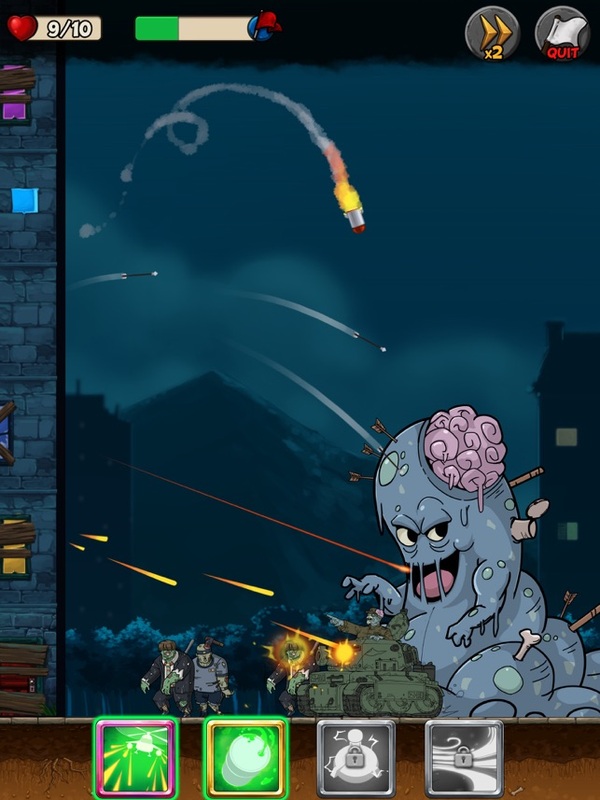 Fortress Defense, is where you fight off waves of zombies trying to destroy your fortress. When you win, you earn chests that have upgrade cards for your weapons. 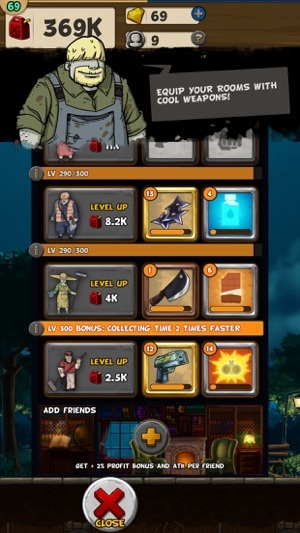 The game also has an in-game shop where you can purchase upgrade (with real money) and there are daily log in rewards. The bottom line is that there is so much going on with the game. It is a fun game that will definitely keep you active when you are playing. I found myself continually playing because I wanted to upgrade my weapons and fortress. This game is one what you will NOT complete in one afternoon. 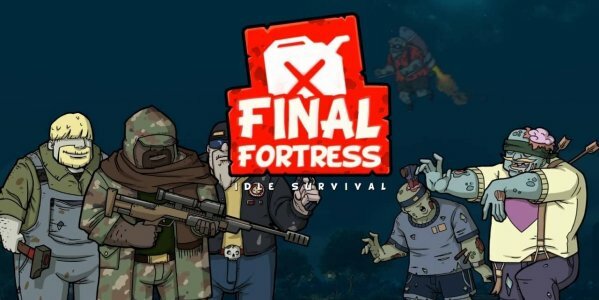 So if you need a casual but addictive idle game, then I recommend you give Final Fortress a shot. 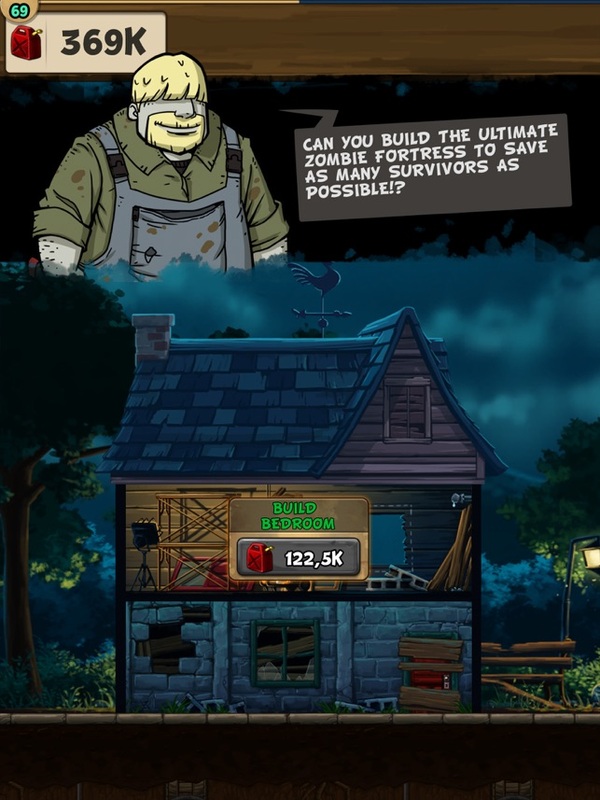 A great zombie idle survival game where you need to build up your fortress to survive.